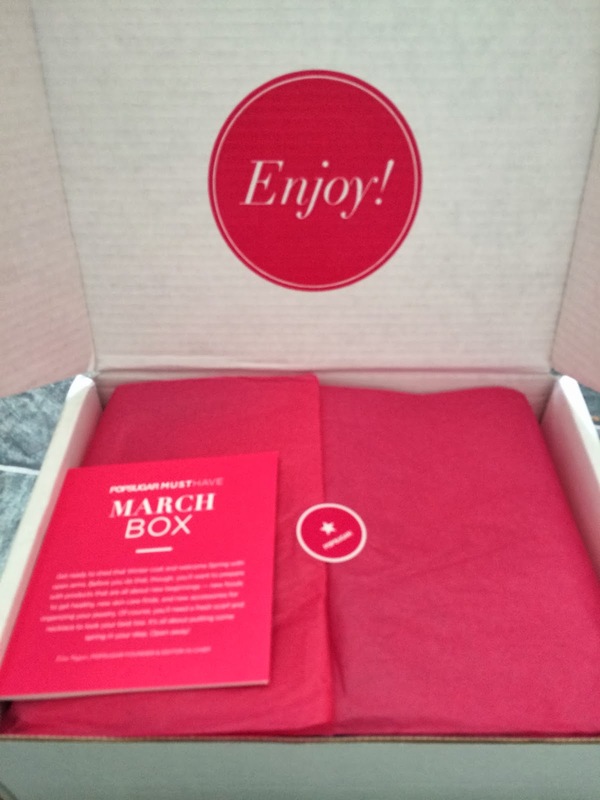 My March Popsugar Must Have box finally arrived. 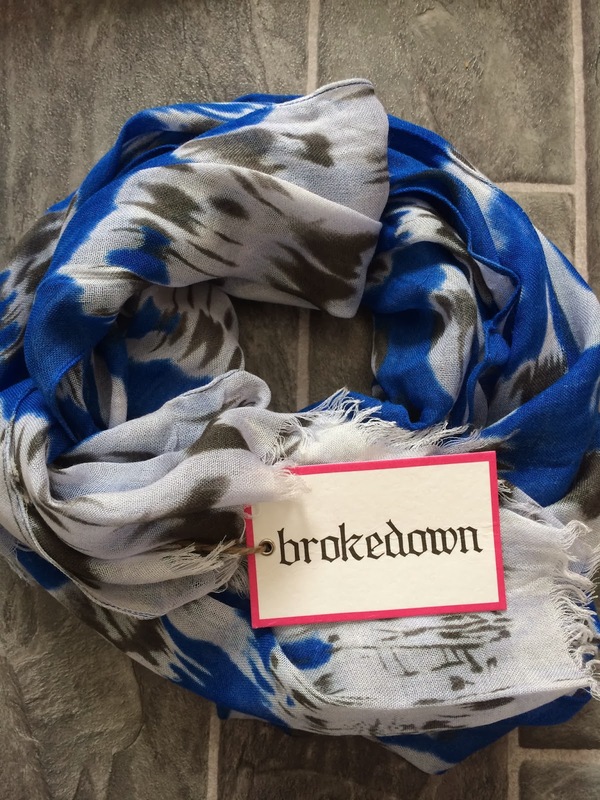 Popsugar released the Brokedown scarf everyone would be receiving in their March box and I knew this was going to be a good month. I couldn't wait to see what else would be in this month's box. March's theme was all about welcoming Spring and new beginnings. Aren't we all ready for Spring (I know I am)?!? There will also be 10 lucky March subscribers that will win the Lollia Calm Collection. It looks like they will be sending this out to the winners in the May box (according to the official rules). I'm not sure if they'll announce the winners soon, but I hope they do. Fingers crossed! It looks like a great prize and I'm sure the winners will be thrilled!!! The Must Have Fashion item included was the Brokedown Blue Ikat Scarf. I love this scarf! It's light weight and the color is beautiful. I think I'll be wearing this a lot! 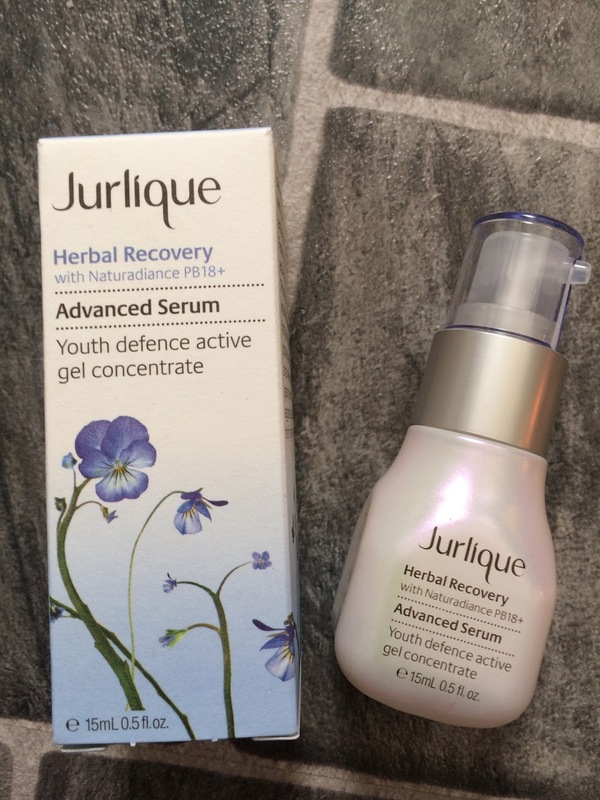 The Must Have Beauty item included was Jurlique Herbal Recovery Advanced Serum. I've never tried any products from this brand, so I'm excited to try this. I'm still using the serum included in last month's box, but I plan on trying this next! It's made from organic ingredients and promises to diminish dullness, reduce fine lines, and increase hydration. Sounds great to me!!! 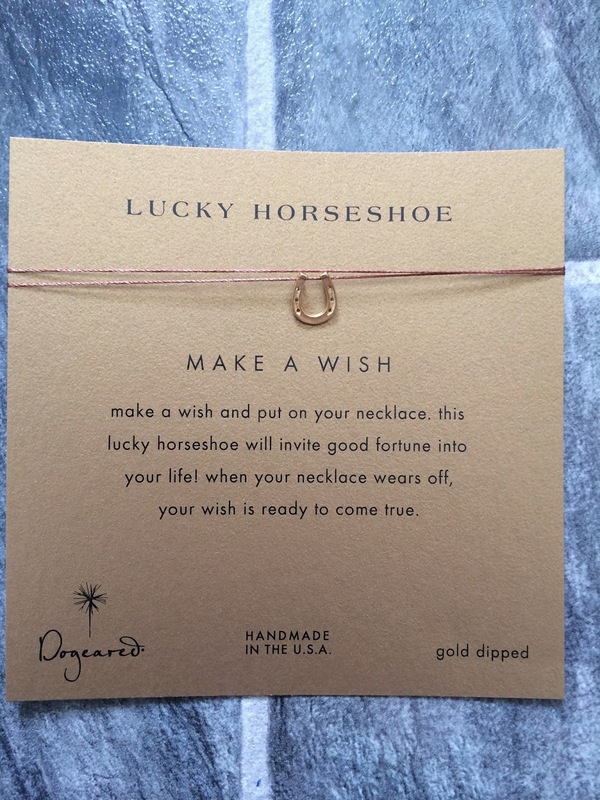 Another Must Have Fashion item was the Dogeared Lucky Horseshoe Make a Wish Necklace. I love this! It says to make a wish and then put on your necklace. The lucky horseshoe will invite good fortune and when your necklace wears off, your wish is ready to come true. I'm not the type of person who wears jewelry 24/7 without taking it off, but I really want to try this! We'll see if I'm able to keep it on while showering and sleeping. I think it's adorable, so I will be sad when it wears off. 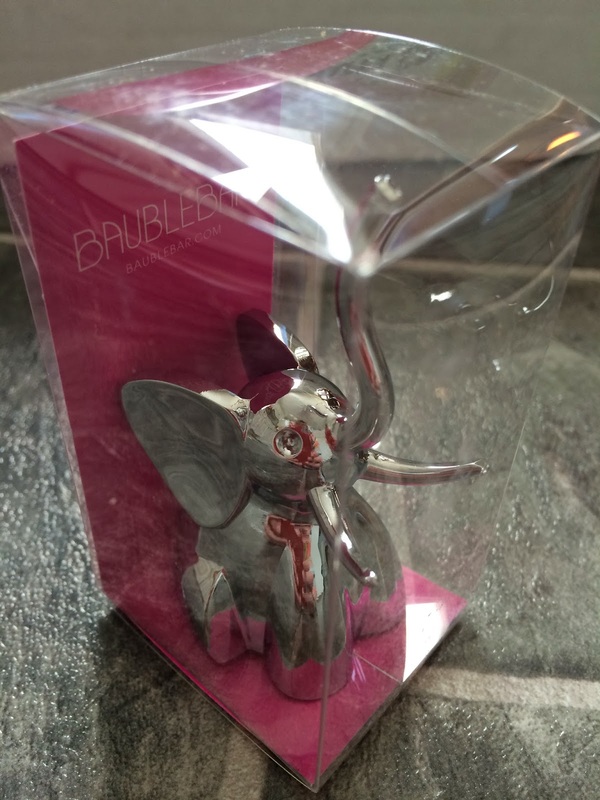 The Must Have Home item included was BaubleBar Elephant Ring Tree. Totally adorable! I don't think I could choose one favorite item from this month's box, because I seriously loved it all. This ring holder was unexpected, but perfect. I think it's going to look great holding my rings! There was also a 20% off coupon enclosed for BaubleBar and I'm so tempted to buy these as gifts for everyone I know. I think the bunny and elephant are my favorite!!! 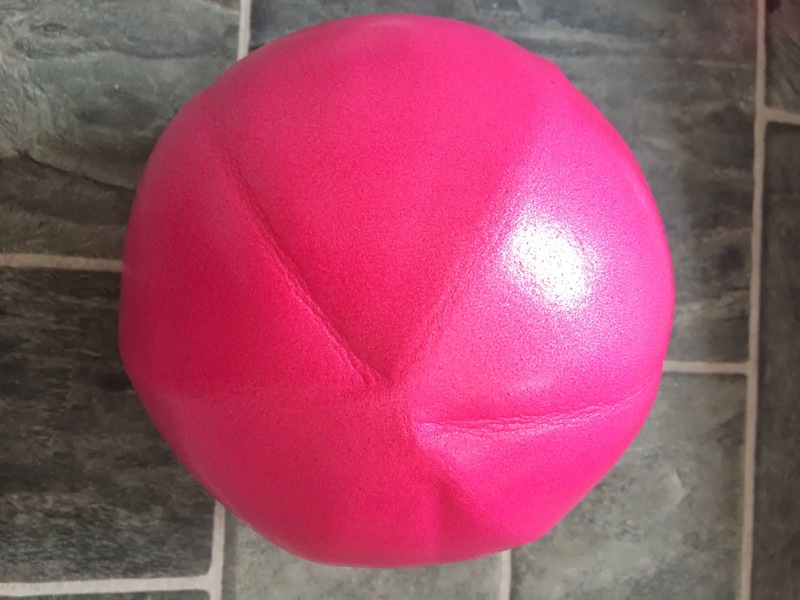 The Must Have Fitness item was the ActiveForever Fusion Exercise Ball. This was the one item in the box that I didn't care for. I don't really exercise, and I bought an exercise ball years ago and never used it, so I'm sure this one will be the same. But, I am going to fool myself into believing I may actually use this to shape up for summer. I may even look up some exercises online. 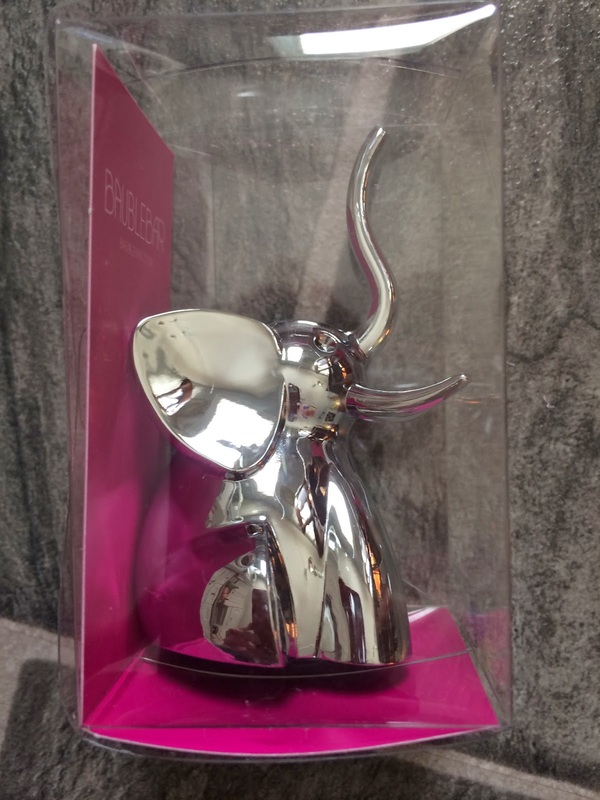 The good thing about this is it is quite small, so it won't take up space and my daughter will probably love playing with it, even if I never use it for its intended purpose. The Must Have Food item included was Harvest Snaps Snapea Crisps. When I saw these in the box, I immediately thought yuck! Those don't even sound appealing. Then I thought, I hope my 21 month old daughter loves them, because they'd be a semi-healthy and quick snack for her. I loved that idea! I opened them up at snack time and she was excited to try them. She kept going to get more. So, I tried one. These are seriously delicious! 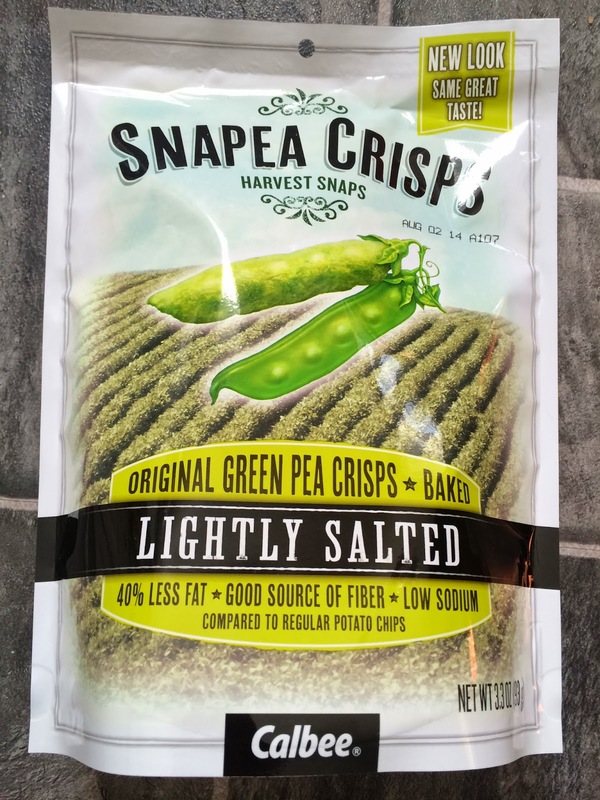 Similar to the baked veggie chips, but these are shaped like snapeas. So fun! Now I want to buy more. I even think they'd be a great, unique treat to pull out when entertaining! Popsugar also suggests using them as a salad topping. I'm all about these! I need to find these locally, before our bag is gone!!! 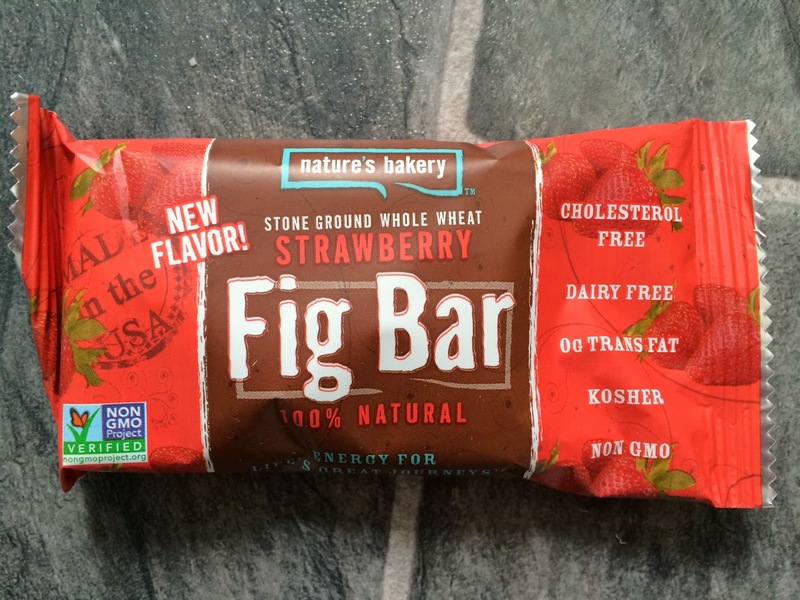 The final Special Extra item included was Nature's Bakery All Natural Strawberry Fig Bars. I haven't tried these yet, but they look yummy and I'm sure I'll love them! This was an amazing box in my opinion! I loved everything and am very happy to have discovered a delicious treat for the family. And with the enclosed coupon codes I can get some unique gifts for others. Now, I'm hoping the Popsugar Must Have Resort Special Edition Box is equally amazing! I think it will be based on the Cuyana Turkish Towel spoiler they released. I can't wait to get my hands on that box. I hope they start shipping soon!!! 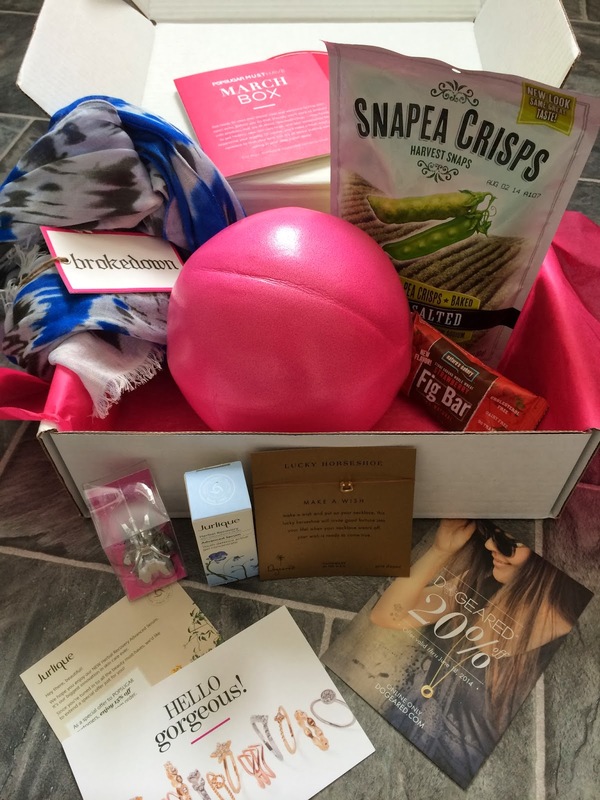 Did you love the March Popsugar Must Have box as much as I did? What was your favorite item??? * This subscription was purchased and financed by me, unless noted otherwise. Posts may contain referral links and I totally appreciate it when you use them! Everything I've tried from Jurlique has been amazing. I think that serum would have been my favorite item! I'm one of the winners of the Lollia Cal Collection. I received my prize last weekend. I'm so thrilled to have won. Wow! How lucky are you?!? I'm so jealous! I was really hoping I would win, but I didn't :( It looks like it smells amazing! What do you think of the Lollia Collection? I'd love to hear your thoughts.